I am becoming acutely aware that I am almost at my top ten already and I still wanted to include other items. I took a good hard look at what jacket I wore the most often and this year. It is definately the jean jacket. People might argue that this should be the place of the leather motorcycle jacket or the classic trench coat. I will definitely agree that both of those are fine choices as well. Personally I don't get as much wear out of either of those pieces as I do my jean jacket. A classic jean jacket will never go out of style. The trend of mixing up casual with dressy isn't going away. The jean jacket is ideal for this. Also the jean jacket is a wonderful piece for layering. I layer my slim down jacket under my jean jacket in early winter. I will also layer my jean jacket over almost everything else I own. What style of jean jacket should I buy? Classic, simple, close cropped and medium to darker denim like this Gap version will work well with everything. How should my jean jacket fit? Like a well tailored jacket. Snug but you should still be able to add a light sweater underneath and do up the buttons without having them pull or gape. The sleeves should fall to just lower than your wrists. The shoulder seams should sit right on the shoulder. How much do I need to pay to get a good jean jacket? You don't need to break the bank to find a great jean jacket. H&M, Gap, Forever 21, Target, vintage and thrift stores all carry great jean jackets that can range from $7-60 in price. I paid $30 for the H&M version below. I love the way you styled that jean jacket over the leopard dress. That really looks awesome. Leopard + denim… super hot! That is one item my closet doesn’t have. After reading this post I’m determined to find a perfect jean jacket for spring. This is something that I still do not have in my wardrobe. I don’t know why, but it has always eluded my grasp. You style it fantastically! I really love how you mixed together leopard dress and denim jacket. You look very beautiful! Denim jackets are definitely a must have. I love it with the belt! Your jacket is a perfect fit for you and I really like the way you’ve styled it – very unique and flattering. A classic jean jacket is so versatile and never ever goes out of style. I love the one you picked for this post. I am shocked you don’t own one already. You will be able to find one that is perfect and wear it with that amazing red maxi skirt of yours! : ) Yes please! Well it is classic, even for someone that loves to replicate vintage styling. I could really see it with a retro style women’s shirt (think bowling shirt style) and some high waisted pants and great brogue shoes. I agree that having a jacket that is too large is a big no-no. Unless you are deliberately trying to make your body look bigger. I think that is the difference now between when I was younger wearing a jean jacket, it was always large on me. Wearing it like this, very fitted is much more flattering and easier to combine with other elements from my wardrobe without looking out-of-place or like I’m trying too hard. I recently got a jean jacket and it has been a life saver! Love all the ways you came up with here to style it. This is one staple I’ve yet to invest in! Love your belted look and all the sets you came up with are super cute! I love a grea jean jacket! I own 2! So I read your article on your shopping experience at f21! I agree the music can be tough to withstand at times so usually i go in with my iPod. I was taught to dig through clearance and sale racks by my mom at a young age so that place is easy. But to many who hate digging, it’s a hard experience. Such a well thought out post. I love all the outfits you created with a jean jacket. I don’t actually own one but I had this amazing Gap jacket back in high school. I wish I kept it! Animal and denim is such a great combo – you casual out one and dress up the other! An excellent choice in your top 10! 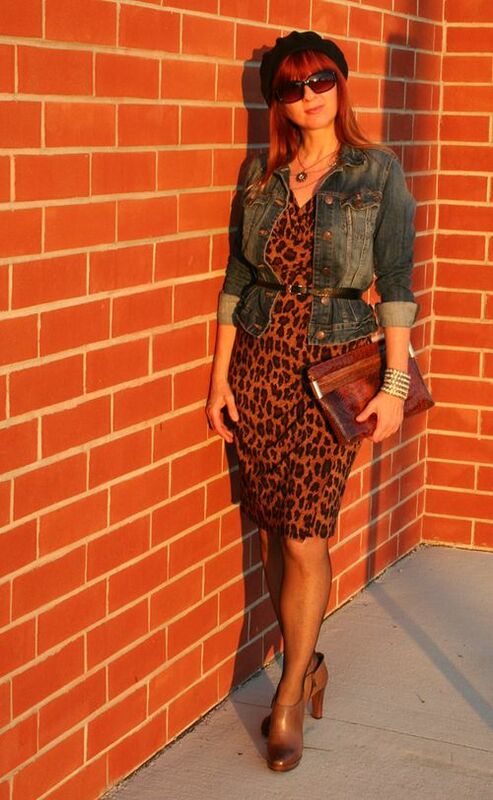 Love a cute jean jacket and the way you styled it with the leopard dress and belt is just awesome! Love the feminine and edgy mix! 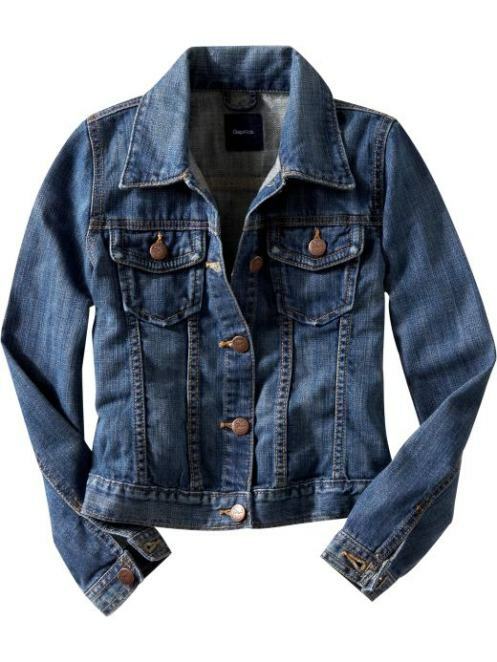 A denim jacket is as timeless as anybody could get….& excellent with almost anything esp. leop!! I love denim jackets! They go with everything.